iPhone 6 has a wafer-like metal design, curved lines and feels more like the iPod touch models. Its body is larger, yet slimmer (6.9-millimeters thin), and has more rounded edges than its predecessors. The company did not completely abandon Steve Job’s “fits into the palm” philosophy! The smaller model feels more massive but perfectly fits into the palm and allows you to navigate through the screen. Even the 5.5-inch version can be controlled by one hand, thanks to iOS 8 capabilities. Available in gold, silver and space gray colours. Has pixel density of 326p and 1080p for the 4.7-inch and 5.5-inch respectively. The smaller iPhone has 1,334×750 pixels, while the larger, which by today’s standard is called the phablet has higher 1,334×750 pixels. There are a lot more other features that I will review in my later, but now let us look into the other two products also unveiled yesterday. The iPhone 6 debuts in shops from September 19th. Serve the functions of a heart rate monitor, thanks to its rear composition of LEDs and sensors. It can display maps and issue notifications. It comes with its own charging cable. You can make contactless payment through Apple Pay services on the watch. I’m still working on more about this watch. The watch will not be available for purchase until 2015.
iPhone 6 and Apple Watch users will no longer have to use their credit cards for payments, thanks to the an NFC (near field communication) chip integrated in both the devices. To make payments, the either of the device is waved above an NFC reader at a shop’s till. While Apple has finally entered the contactless payments, analysts expected more. What’s the point of doing away with credit card wavering and replacing it iPhone or iWatch wavering? Many had expected a more sophisticated but easy to use payment system. There are a lot more about these two gadgets and the Apple Pay payments service that I would like us to delve into. However, let us save them for another day. The iPhone 6 debut alongside Apple Watch, or the iWatch as it is already known, is likely to cause market jitters. Keep it here for every discovery around these Apple’s product lines. Just a couple months after Apple Inc. (NASDAQ: AAPL) signed a deal with International Business Machines (NASDAQ: IBM), now Apple is set to produce a 12.9-inch iPad, its largest ever tablet. The move is part of the general plan to rescue the declining sales of Apple’s second revenue generator. iPad sales have been declining for two straight quarters and the iPhone-maker, courtesy of the partnership with IBM, is now targeting enterprise customers. It appears that the larger tablet would be a perfect replacement for laptops that these enterprises have been using. The current iPad are sized 9.7″ and 7.9″. As reported by Bloomberg, the production of the 12-inch iPad will begin early next year. Apple’s product pipeline is already busy with the company expected to release iPhones with larger display at Sep. 9 iPhone event. Also there are unconfirmed reports that the company may also unveil its first wearable. Re/code’s John Paczkowski is reporting that on September 9, at the iPhone 6 unveiling event, Apple will also unveil its new wearable. However, he does not name the wearable. Paczkowski is well known to be privy to Apple affairs. His track record speaks for itself and anything he says regarding the company’s pipeline is taken seriously. He is the one who hinted the Sep. 9 iPhone event date. While he avoided using the term “iWatch”, all the hints points towards it. He says in the report that the wearable will “make good use” of HealthKit and HomeKit platforms. iWatch features have often been associated with these two platforms that have been recently launched. So it is pretty obvious that the wearable device is an iWatch. Earlier reports indicated that 3-5 million units of iWatch will be produced per month at the onset. The device will be available in multiple models including one with sapphire cover glass and at least 10 sensors for monitoring health and fitness parameters. Nevertheless, all the models are expected to have a flexible OLED display. 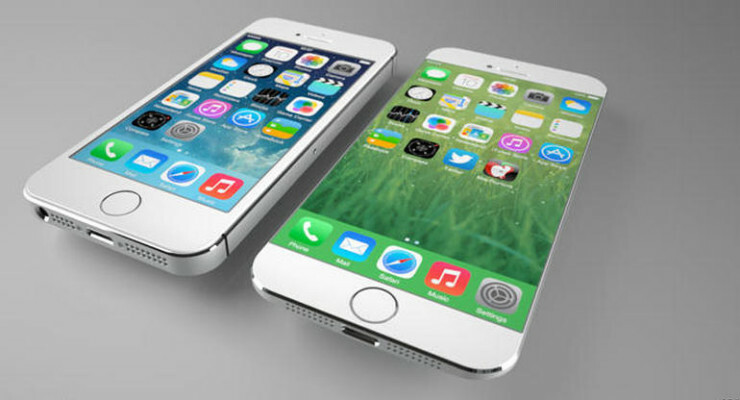 iPhone 6 has been tipped to be the game changer for Apple. The tech giant is expected to reclaim part of its market share lost to Samsung when it launches this next generation of iPhones. It is expected that other than the larger display, iPhone 6 will have a powerful A8 processor. In the previous quarter, Apple registered strong revenue growth in China, a country where a 5.5 inches iPhone model would definitely do well. Apple saw its revenue jump 28% year over year in this country, with iPad sales leading the growth with 51%. iPhone sales were 48% higher than the previous year, thanks to the tech giant’s partnership with China Mobile. While China is key to Apple’s growth, I don’t know what the future might hold for this market after Beijing reprimanded its mobile carriers to stop subsidizing foreign brands. Nevertheless, iPhones with larger screens will attract huge demand and perhaps register a recording breaking sales growth. The company has been reinventing itself to claim its market dominance in the smartphone market. While this is not easy given Google Inc.’s (NASDAQ: GOOG, GOOGL) Android dominance, Apple can yet again distinguish itself as the number one brand for the affluent. Apple’s pipeline is the major reason why the stock has rallied to trade over $100. After a successful quarter, Apple is not resting on its laurels. The company has studied the market and is working on product lines to continue driving this growth. The 12-inch iPad, the 5.5-inch iPhone 6 and the iWatch might all be game changers in their respective markets. After recording a new high, how long can AAPLE hold on at over $100? Apple Inc. (NASDAQ: AAPL) today has recorded its new 52-week high of $101. 09. Thanks to the hype of the iPhone 6’s eminent launch, and other products in the pipeline, AAPL has had a bullish run and is expected to topple the Sept. 19, 2012 split-adjusted record of $100.30. The bullish run has seen Apple trade over 53,450 shares over the last three months and gaining about 40.1% from August last year to date. Generally, since January last year the stock has gained 27.3%, yet analysts are still declaring AAPL a buy, just like last time. Will the stock hold on trading at over $100, or is it headed for another precipitous fall? In 2012, Apple’s run was built around the then eminent release of iPhone 5, like it is happening again with iPhone 6. However, iPhone 5that was competing with the Samsung debutant Galaxy S3.The Samsung flagship had been released in May that year, and it was the first Google Inc.’s (NASDAQ: GOOGL) android phone made to counter iPhone’s dominance. S3 had set the bar so high that iPhone 5 fall shot and performed miserably. The Steve Jobs’ factor was also still in play, as many investors thought that the company was hollow without his hit products ideas. The current situation is very different. Smartphone users are not only waiting for the release of the Steve Jobs’ phenomenal “…one last thing”, but the Smartphone that will address areas where Apple has not been getting it right. The phone expected to have larger display made from Sapphire Glass. What’s more, there are other products in the pipeline that are scheduled for release. These products include the iWatch and iPad Air. Stock buyback plan: The iPhone maker has been buying back its stock since June 2013. Its CEO, Tim Cook announced in early February that they had bout back shares worth $14 billion in less than two weeks. In April the company added $30 billion to the plan and also raised its dividends. Its board raised the purchased plan budget from the $60 billion a year earlier to $90. Expansion in emerging markets: Apple saw its iPhone sales shoot up 55% year over year in the Brazil, Russia, India and China (BRIC countries) during its just ended quarter. Its partnership with China Mobile was to thank for this. However, there are emerging reports in China that Beijing has ordered the three government back Telco’s, China Mobile included, to sever links foreign mobile manufacturers to help the local companies. 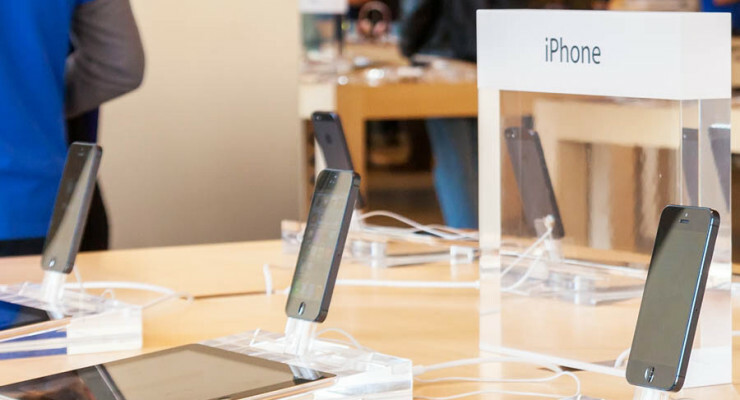 This might affect iPhone prices, as the carrier had subsidized the smartphones. This might be a huge blow to not only Apple, but also its close rival Samsung. This is not the first time Apple has topped $100 a share. Its record high came in September 2012 and after which the stock dipped to below $400 while analysts expected it to run past $1000 mark. Many analysts believe the current situation is different, but is rally different? Technology news site Re/code has reported that Apple Inc. (NASDAQ: AAPL) will launch its iPhone 6, rumoured to be with larger screens, on Tuesday September 9. The report further suggests that the smartphones could be available on the market by Friday, September 19. The site claims its sources are people close to Apple hierarchy, and the reports have widely been accepted with little or no doubts. Apple has already declined to comment on this report, but the September launch date is consistent with its strategy for the previous launches of its flagship smartphones. The announcements often come in between early and mid of the said month, and a few weeks later the product is often on sale. While these may be just rumours, the Re/code’s reporter John Paczkowski has proven track record on divulging Apple launch dates, and therefore it cannot be ignored. MacRumors last week reported that iPhone 6 release will be delayed until October 14th. However, the report also concurs that the iphone maker could launch the phone in September. The October report has been received with a nagging thought, however. October is a rather busy week for Apple. It releases its Q4 earnings report then and it has other products in the pipeline to release too that are likely to be launched in the same month. Apple has for a long time been known to separate its product launches, to give each product its shining moment. Therefore, it would be imaginary to believe the company would cram all these activities in just October. Other products in the pipeline and which are also highly anticipated include the iWatch and a new iPad model. Apple is being expected to concurrently release two versions of iPhone 6, the 5.5-inch premium phablet and the typical sized handset with 4.7-inch display. However, it is emerging that the company is experiencing problems with its suggested Sapphire Glass, which it intended to use for its new larger version of iPhone 6. Reports suggest that the phablet could be delayed to as far as 2015. If this is true, it could spell doom for the iphone maker as the main attraction for the new iphone would be larger screens, as the company seeks to poach some of Samsung’s (OTC:SSNLF) customers who have preferred the Galaxy series over the iphone. Nevertheless, Apple has been silent over the matter and it would be premature to arrive at conclusion. The iphone 6 release date is still a matter open to speculation as no precise release schedule has been put in place. The price of this new iPhone model is expected to be high, but Apple still expected to do very well with its release as its customer thirst for new iPhone override the need for lower prices. The company is said to be negotiating for $100 price hike to offset the increased costs of production of the bigger device. The company has ordered production of 70 million and 80 million units combined of the new iPhones, and analysts have predicted that iPhone 6 will outsell all the previous iPhone models. Apple is on the verge of launching a large screen iPhone like other Android Smartphones. If the rumours have to be believed, the tech company is all set to release two different versions of the new age mobile. One model will come with a big 5.7-inch screen that people would see first time in a product of Apple. No question that the news is going to raise people’s expectations high. However, if Apple succeeds to deliver even better than its peers, it would definitely help the company rebuild the lost image of an incomparable industry player. Apple Smartphone users will consider the upgrade of product design as an unbelievable iPhone revolution. Others, who have been ignoring it just because there are better options available, will now chase iPhone as well. Analysts believe the launch of the new iPhone will help Apple draw additional consumers, which in return can increase iPhone’s sale by at least 50 percent. However, the new arrival has to be something really compelling to be able to grab the nerve of gadget lovers.